Razer has created a new micro Android console called the Razer Forge TV which has been designed to enable the streaming of almost any PC game directly from your home computer to your large screen TV with ease. The Razer Forge TV works in a similar way to that of the Nvidia Shield streaming service however the Razer system uses software rather than relying on hardware to create the stream. Allowing you to use the Forge TV game stream system no matter what processor or graphics card you have installed in your gaming rig. Razer has designed to system to be used with almost any system configuration available, once Razer’s Cortex software is installed. The Forge TV is equipped with a quad-core processor supported by up to 16GB of RAM and is capable of running Google Play apps, allowing local multiplay for up to four players, as well as supporting a number of multimedia applications. It works with both Ethernet and Wi-Fi connections, and supports streaming for DirectX 9 games and higher. 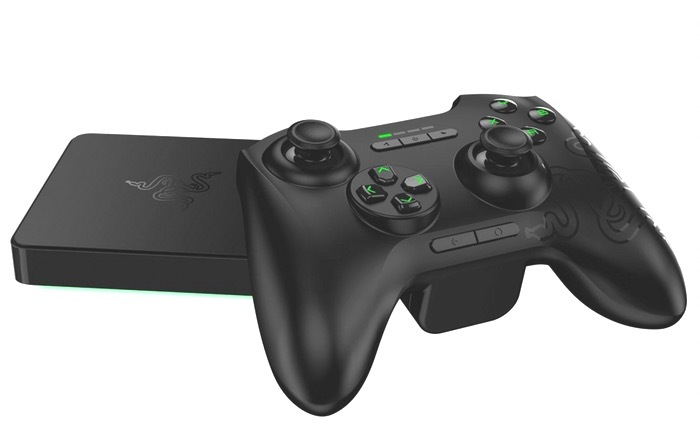 For more information on the new Razer Forge TV PC game streaming system jump over to the Razer website for details. Unfortunately no information on worldwide availability has been released as yet Razer, but as soon as information comes to light we will keep you updated as always. Although the new Razer Forge TV streaming feature is preparing for a beta launch later this year during the spring of 2015. Razer Store price $99.99 / €99.99 or $149.99 / €149.99 for Razer Forge TV and Serval Controller Bundle.